President Donald Trump has declared opioid abuse a national health emergency. But that’s not news to the people of New Hampshire where the death rate from addiction is twice the national average. That’s why President Trump chose Manchester, New Hampshire to deliver a speech about the national epidemic this week. 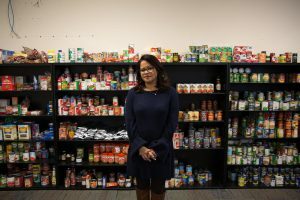 We check-in on two groups affected by this crisis, who are often overlooked: the recovery community and first responders, many of whom are suffering from “compassion fatigue.” Plus, six months after Hurricane Maria devastated Puerto Rico, we re-visit Connecticut’s efforts to help evacuees resettle in the state. Director John Burns of SOS Recovery teaches a training on “compassion fatigue” in Dover. 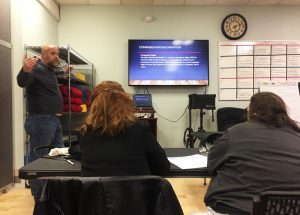 NHPR’s Paige Sutherland reports on how first responders and those working in the recovery field in New Hampshire are dealing with the pressures of responding to drug overdoses in the state. It’s a phenomenon called “compassion fatigue,” and experts are working to provide resources to help groups deal with it. In President Trump’s New Hampshire speech, he focused on his administration’s efforts to curb the opioid epidemic. Trump also took the opportunity to call-out, once again, the MS-13 gang. The gang was started in California by immigrants from El Salvador, and Trump has mentioned them in the past to promote his immigration policies. WBUR’s Shannon Dooling reports how citizens of West Brookfield suspect the gang is taking hold of their small Massachusetts town after a family of four was murdered. Aura Alvarado helped run the relief center in Hartford. She says there’s still a need for services for hurricane evacuees. In the six months since Hurricane Maria hit Puerto Rico, hundreds of families from the island have found new homes in Connecticut. When they arrived in the state, many of these families were greeted by Hartford’s Hurricane Relief Center. Last week, the Relief Center closed. WNPR’s Ryan Caron King reports on how future evacuees will be able to find help without the aid of the city’s Relief Center. Meanwhile, nearly 1,800 Puerto Rican students have entered the Connecticut public school system. One Connecticut university has opened its doors to evacuees who wanted to take classes in the short term. 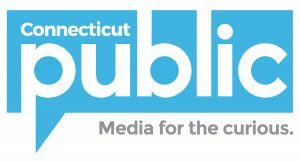 WNPR’s Vanessa de la Torre reports that six months after the storm students are facing questions about their future. The North Atlantic right whale is an endangered animal, but last year the species suffered a record number of deaths due to fishing gear entanglements and ship strikes. MPR’s Fred Bever discusses how the lobster industry is posing a serious threat to the future of the North Atlantic right whale. 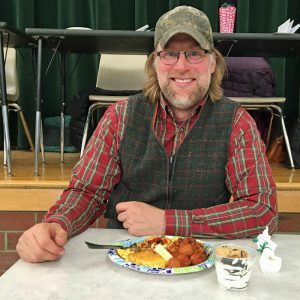 As Vermont’s agriculture industry is growing, VPR’s John Dillon speaks with a local activist who is worried about lax state oversight over large-scale dairy farming. The weather in New England never makes any sense. It’s a fact we’re reminded of after our fourth consecutive Nor’easter in less than eight weeks. 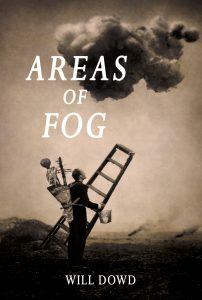 In his book, Areas of Fog, poet Will Dowd begins each essay with a weather report. We speak with Dowd about his collection and discuss how New England residents’ beliefs and relationship with the weather have changed over the centuries. Town meetings are often considered to be the pinnacle of old-school New England democracy, but in Amherst, Massachusetts, the merit of a town meeting is up for debate. NEPR’s Ben James spoke to residents about why the tradition is up for a vote next month and why some are passionate about saving it. Finally, during a break in one Vermont town meeting, VPR’s Amy Kolb Noyes introduces us to one of the only elected dogcatchers in the country.